I’ll go into a definitive answer right now. We begin. Shake shack: A bit deflated. Soft, not as warm. Matte finish. Not enough yeast? Science: Toasting it can prevent sogginess. Win: If you mess this up…really? Pretty much the same. In and Out’s tomatoes are slightly thicker, more watery, and doesn’t taste very tomato-y. Science: Mealy tomatoes can be a result of not taking care of your tomato plant. Bad watering cycles and too much nitrogen in the soil can lead to mushy sadness. In and Out: Flat, a bit textureless. A bit anemic looking. Dry. 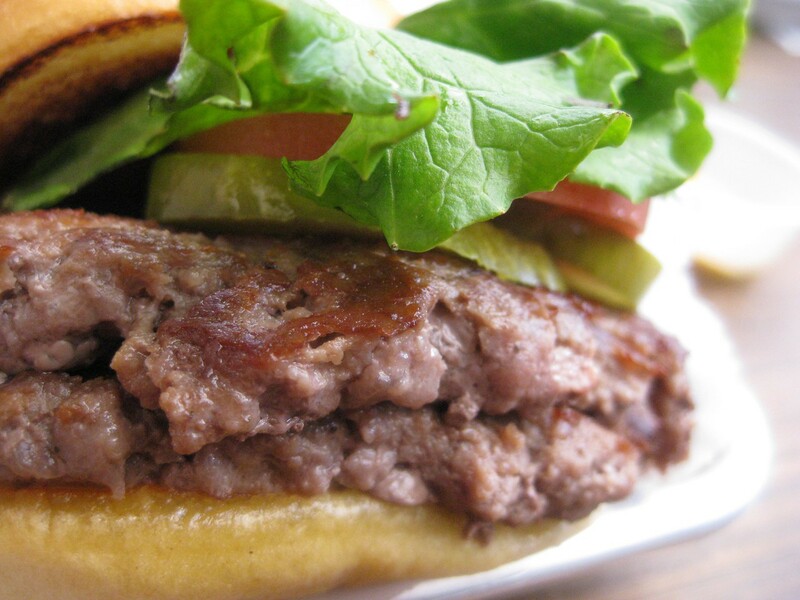 Shake shack: A bit more plump, more textured. Slightly anemic looking. Not dry, nicely seasoned. Just a bitttt pink. Lovely. Tweak: Grind your own meat. It’ll be a steak in burger format. Also, you won’t get mystery meat. In and Out: Relish-y, mayo-ey, nicely balanced, makes the burger. Shake Shack: Can’t remember it very well. Forgettable? Tip: If you mix all the sauces a restaurant provides you (like getting all the sodas at the fountain), you might end up with In-and-Out’s sauce. Maybe. Well, looks like a tie. Technical win: In and Out. That’s settled…I guess I’m a bit biased.